As we enter 2013, I wish you a year of embracing your fears. Specifically, befriending the five key fears that may be running your life without you even knowing it. Chances are that you’ll recognize each and every one of these Big Five as a life-long intimate partner of yours. They leave their fingerprints on your personal life, career, and even on the organizations and institutions that form part of your existence. In fact, I was inspired to include these fears here after watching Lara Lee, Chief Innovation Officer at Continuum, deliver a keynote examining these fears from a business innovation perspective. As you look at the list below, I invite you to consider where have these sneaky culprits kept you awake at night, or stopped you from going where you wanted (or needed) to go, or prevented you from celebrating the fullness of your being. I certainly can personally attest to having been under the influence of each and every one of these fears! 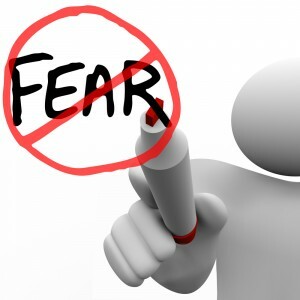 And so, as a New Year’s gift of sorts, please find below a few pieces that I thought would be of particular interest to you, examining fear (and practical ways to move beyond it) from various angles. Surprising Answers to the Question: What Would you do if You Were Bullied? My wonderful readers, until we meet again in the year 2013, my heartfelt wish for each and every one of you is that you create a year (and a life) free from the oppression of fear, a year/life where you use angst as a springboard to grow and discover, regain your life balance, be humble and courageous, loving and empathetic. Need help with challenges in your organization? Don’t hesitate to contact us. This entry was posted in Blog, Harassment, Leadership, Life Balance, Miscellaneous, Resilience, Respectful Workplace, Workplace Change, Workplace Incivility. Bookmark the permalink.